This looks like the chillest mushroom man in the realm! Under a psychedelic galaxy of stars, this mushroom man is hanging with his friends and smokin' a hookah. 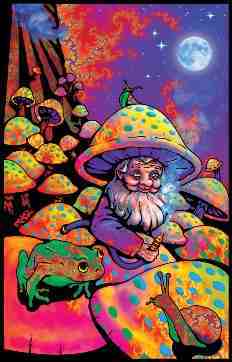 This psychedelic chill blacklight poster would be the perfect addition to any smoking room, dorm room, bedroom, or chill room!